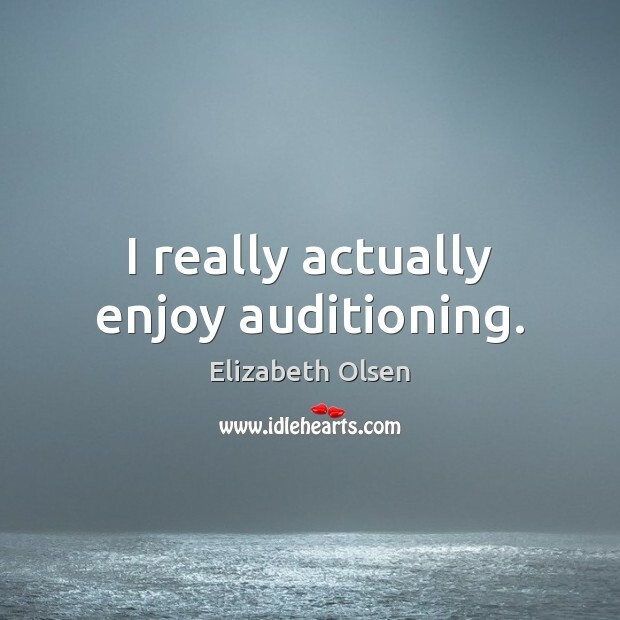 Quotations about Auditioning. Quotes to stimulate mind and drive action! Use the words and quote images to feed your brain inspiring things daily! 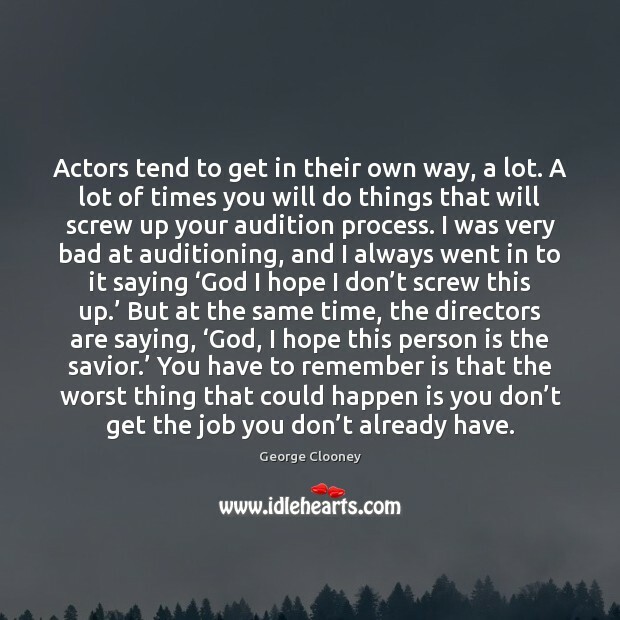 Especially like right now, I'm not shooting a show so you get to act. You get to do that stuff, kind of treat everyone as 'All right, throw the paint against the wall and see what I can do with this and what people say.' I think it's a great mental workout because you have to ready something, learn something fast. 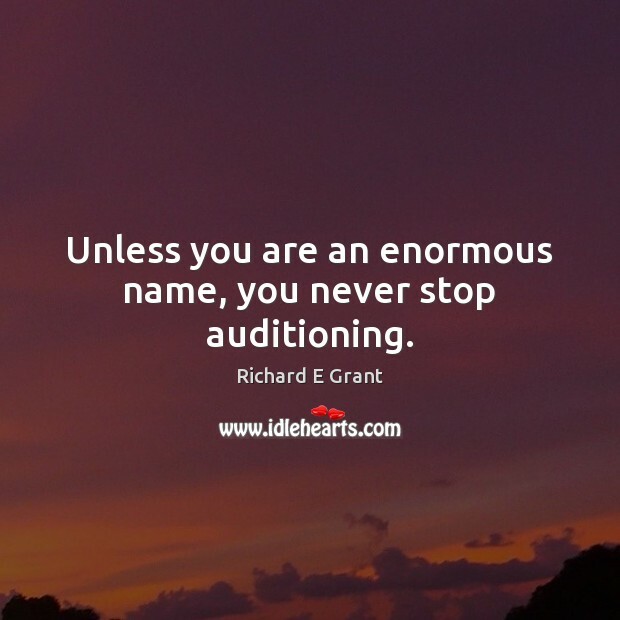 It's good to stay on your toes and keep sharp if you're auditioning. I don't know if it was a defining moment. I knew it as soon as I could comprehend the possibility of having a career. I knew very young I wanted to be a movie star. As much as I grew into love of the craft. 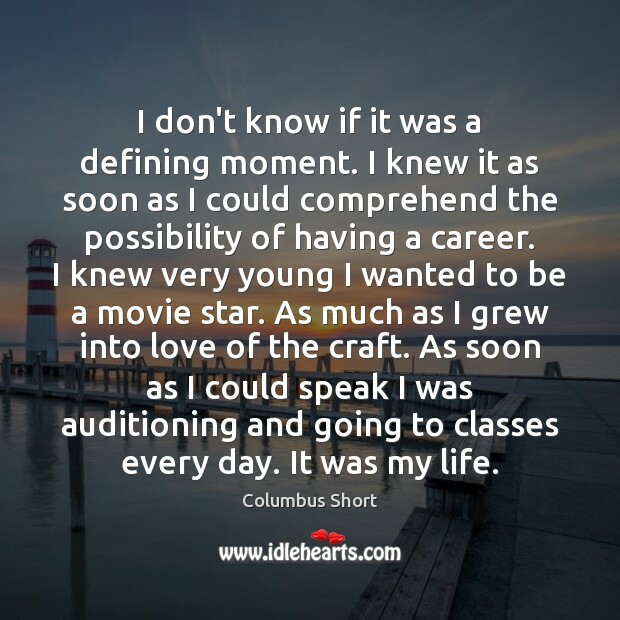 As soon as I could speak I was auditioning and going to classes every day. It was my life. 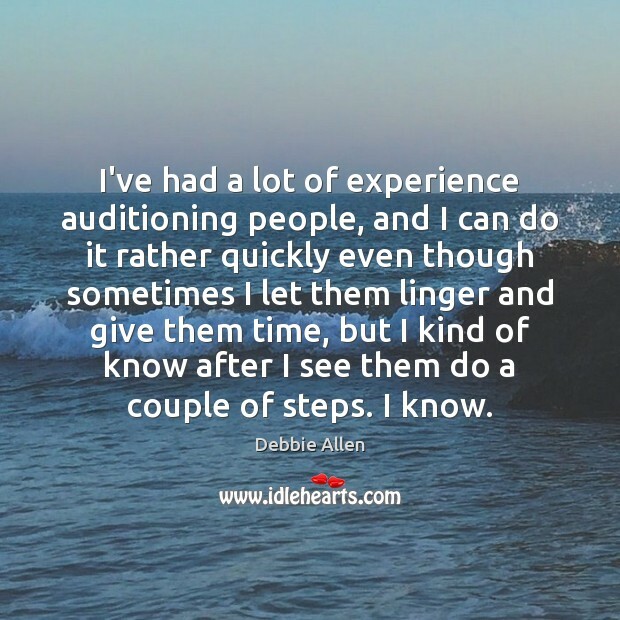 I've had a lot of experience auditioning people, and I can do it rather quickly even though sometimes I let them linger and give them time, but I kind of know after I see them do a couple of steps. I know. 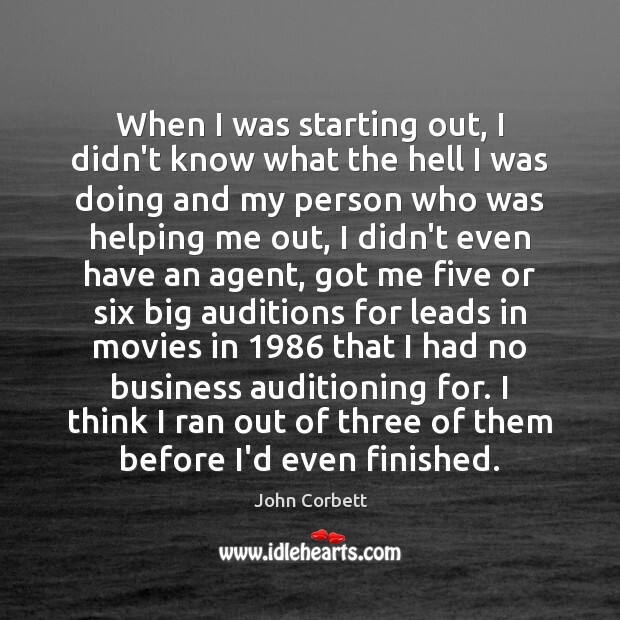 If you only take parts that are offered to you, you end up playing the same roles over and over again. 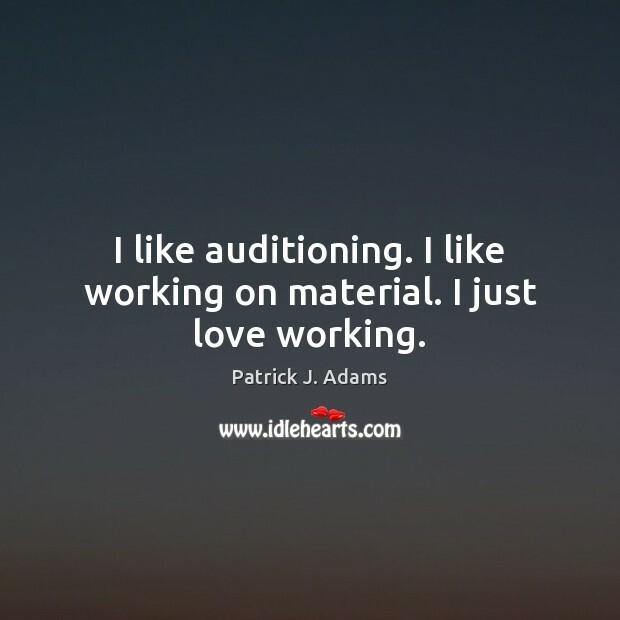 I think it's important to keep auditioning. I think it's important to scare yourself; to take parts that are outside of your comfort zone. 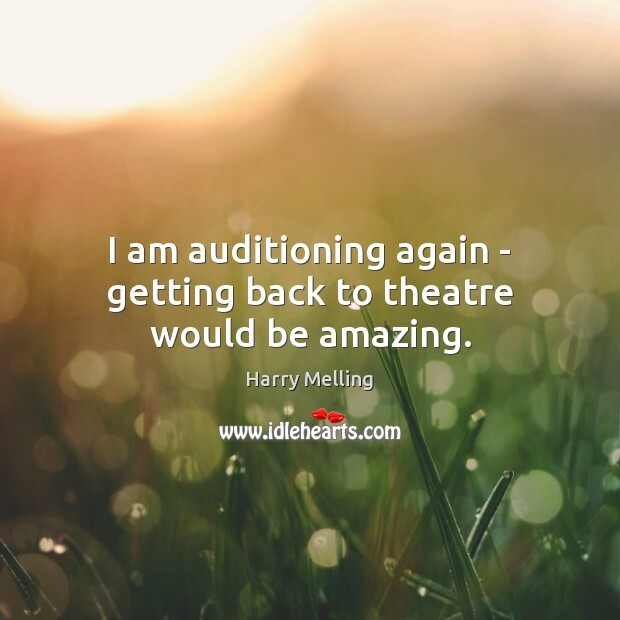 I am auditioning again - getting back to theatre would be amazing. 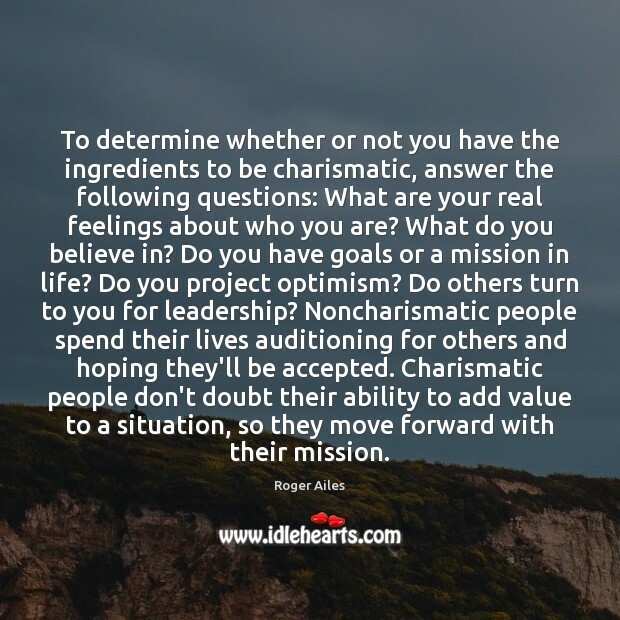 To determine whether or not you have the ingredients to be charismatic, answer the following questions: What are your real feelings about who you are? What do you believe in? Do you have goals or a mission in life? Do you project optimism? Do others turn to you for leadership? Noncharismatic people spend their lives auditioning for others and hoping they'll be accepted. Charismatic people don't doubt their ability to add value to a situation, so they move forward with their mission. 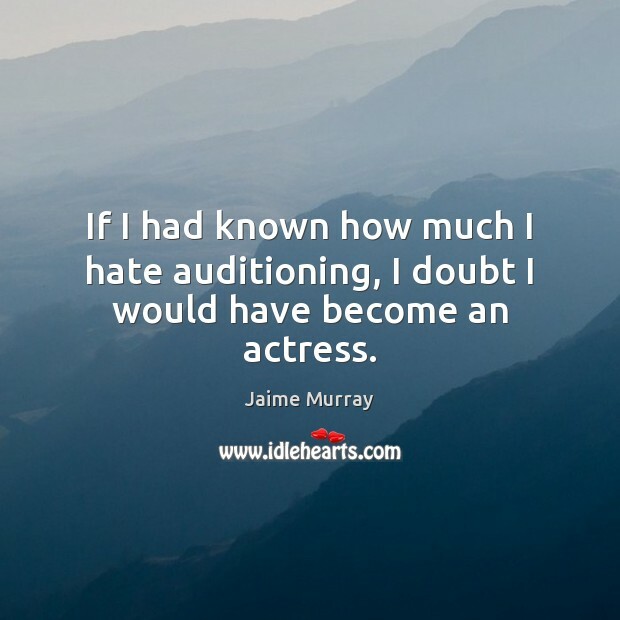 If I had known how much I hate auditioning, I doubt I would have become an actress. 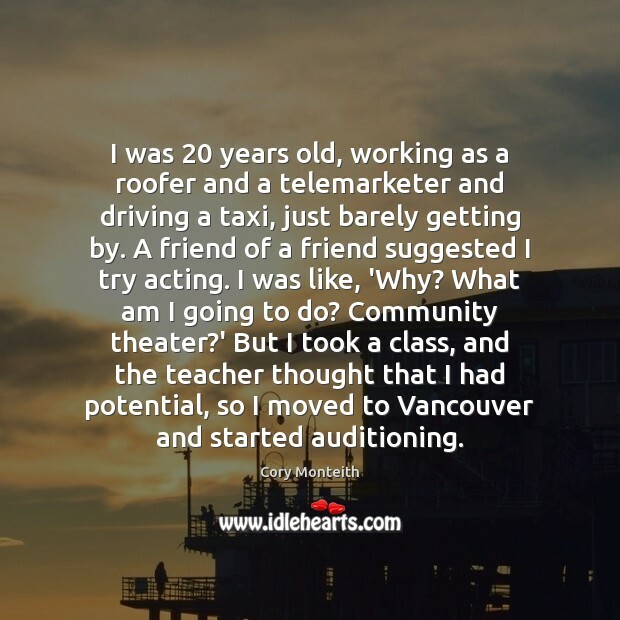 When I was starting out, I didn't know what the hell I was doing and my person who was helping me out, I didn't even have an agent, got me five or six big auditions for leads in movies in 1986 that I had no business auditioning for. I think I ran out of three of them before I'd even finished. 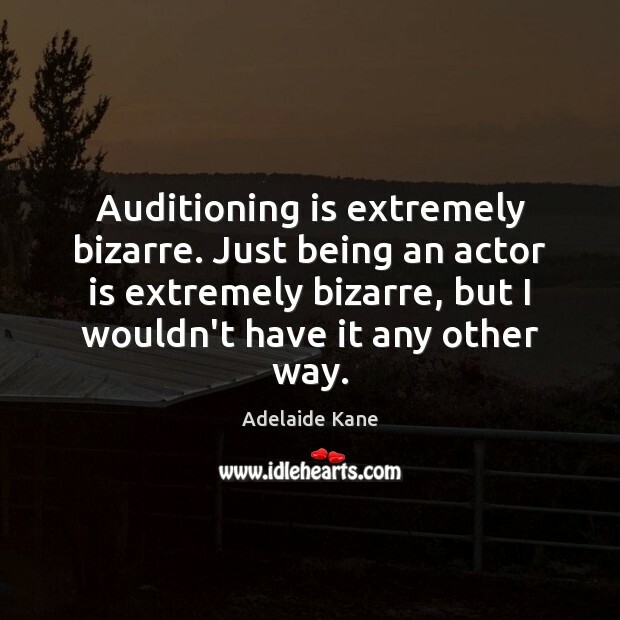 Auditioning is extremely bizarre. Just being an actor is extremely bizarre, but I wouldn't have it any other way. 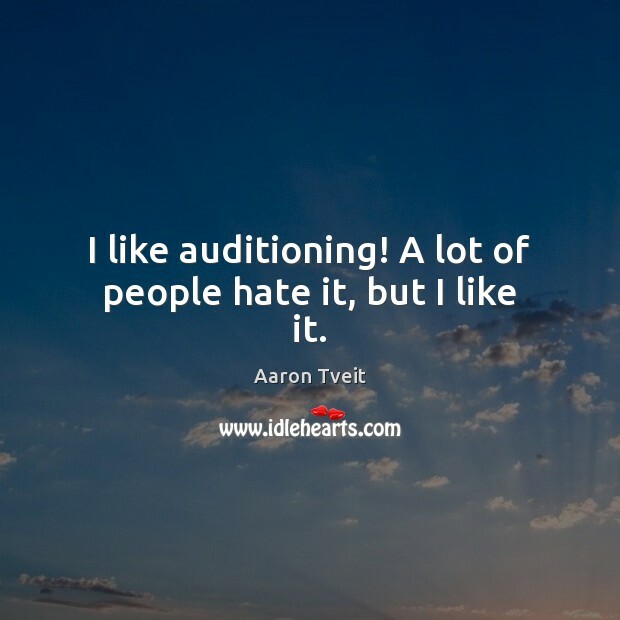 I remember the days of auditioning and being nervous and so I really didn't want to make people have to jump through hoops to do auditions and be nervous and make them more nervous. I kind of wanted to hire everybody and find something for everybody.